LOS ANGELES – For three decades, California has led the fight to control tailpipe pollution, with countless policies promoting cleaner gasoline, carpooling, public transportation and its signature strategy – the electric vehicle. Californians now buy more than half of all EVs sold in the United States, and the state’s auto pollution policies have provided a model being adopted around the world. But they’re not working at home, by the state’s own measure. Tailpipe pollution here is going up, not down, despite billions of dollars spent by one of the most environmentally progressive governments on Earth. “The strategies that we’ve used up until now just haven’t been effective,” Mary Nichols, the head of the California Air Resources Board, told Reuters. That failure has less to do with energy or environmental policies and more with decades-old urban planning decisions that made California – and especially Los Angeles – a haven for sprawling development of single-family homes and long commutes, according to state officials. Transportation is tied with power generation as America’s leading source of carbon dioxide emissions, at 28 percent, according to the EPA – and it takes top billing in California, at about 40 percent. It makes up a smaller share in the rest of the world, where car ownership is lower but likely to grow. California’s carbon emissions amounted to 429 million metric tons in 2016, the last year for which data is available. That’s the lowest level since 1990 thanks to a shift away from coal-fired electricity toward natural gas, solar and wind. But its next target – calling for a further 40 percent cut by 2030 – will be out of reach without transformative changes in state residents’ driving habits, CARB said in a report published late last year. As the state struggles to cut its own vehicle pollution, California officials are also fighting an effort by the administration of President Donald Trump to weaken national standards for automobile emissions. A spokesman for newly elected Gov. Gavin Newsom, who ran on a promise to continue California’s legacy of climate action, did not return requests for comment. California’s tailpipe emissions have risen 5 percent since 2013, according to CARB data, as population growth, urban sprawl and a devotion to one’s own car produced longer commutes and choking traffic. The increase came even as the state has finally caught traction in promoting electric and hybrid vehicles, some 1.18 million of which have been sold in the state since 2011, according to the Alliance of Automobile Manufacturers. The government last year set a target of 5 million electric vehicles by 2030. 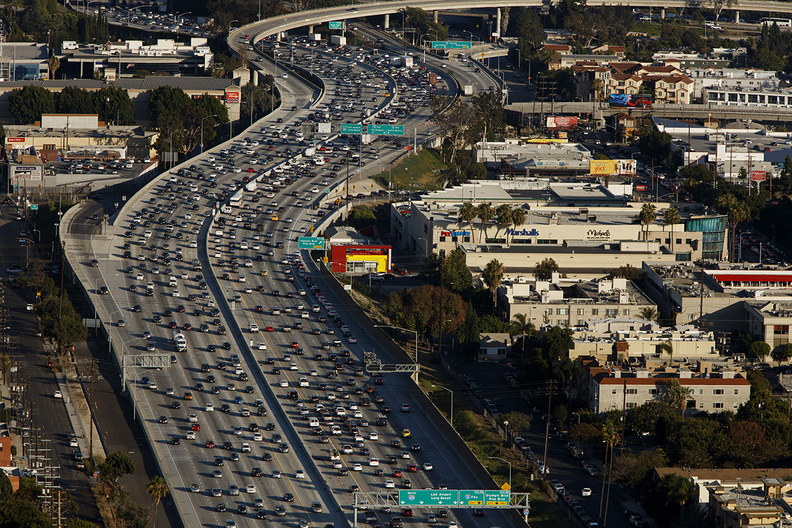 But even hitting that goal – by no means assured – won’t be near enough to allow the state to meet its goal for carbon reduction, which would require California drivers to reduce per capita miles traveled by 25 percent, CARB said in its report. The state has also boosted spending on public transport by about 60 percent over the past decade, according to CARB. But transit options are poorly suited for California’s vast expanses of suburban-style neighborhoods. “If we keep thinking we are going to overcome a 1950s system overnight, that’s wrong,” said Hasan Ikhrata, executive director of the San Diego Association of Governments, the city’s main public planning body. The United States has pledged to cut carbon emissions by between 26 to 28 percent from 2005 levels by 2030 under the Paris Agreement, an international pact to fight climate change reached by nearly 200 countries in 2015. While Trump has signaled his intention to pull the United States out of the accord, a group of states led by California wants to ensure the U.S. meets its commitments, which scientists call critical to avoiding the most devastating effects of climate change. But California’s problems – and those of other sprawling U.S. cities – suggest that meeting that goal will be difficult. Unlike California, Texas has no statewide greenhouse-gas reduction goals, and the state’s love affair with trucks is only deepening. More than two thirds of new vehicles registered in the Houston area last year were pickups or crossovers/SUVs, compared with less than half in Los Angeles, according to IHS Markit, a global financial information provider. Electric cars, by comparison, represent just 1 percent of new vehicle sales in Texas, according to the state’s Department of Motor Vehicles. In California, it was around 7 percent in the first eight months of last year, according to data compiled by the Alliance of Automobile Manufacturers. Transportation emissions have also been rising in other major cities such as Atlanta, Philadelphia, and San Antonio, according to city climate emissions reports from recent years, and have climbed about 21 percent nationwide since 1990, according to the EPA. Other parts of the world could have an easier time. In Europe, residents of densely populated cities face high fuel taxes, encouraging reduced car travel. Many European cities have seen relatively high levels of electric car adoption. And in China and India, which also have lofty electric vehicle targets, major cities are still being built – with pollution control in mind. “They are much better able to bake in this kind of planning into their urban designs,” said John German, a senior fellow with the nonprofit International Council on Clean Transportation. One example is China’s new zone of Xiongan, a spill-off district to ease overcrowding in Beijing, which is being designed from scratch. In a document published in January, the Chinese government promised to incorporate low-carbon development ideas – such as high-speed commuter rail and efficient land use – into its planning for Xiongan to “create a convenient, safe, green and intelligent transportation system”. China is also seeking to improve fuel standards, ban old cars and stop diesel trucks from entering certain areas as car ownership surges by about 20 million vehicles per year. California officials, eager to maintain the state’s leadership role on climate action, hope to pave the way for a fix to entrenched urban sprawl. Los Angeles is mulling a proposal to charge drivers during rush hour and use that money to make public transit free by 2028, according to LA Metro CEO Phillip Washington. Other options include waiving fees for pooled rides to and from airports and adding safety lanes for scooters and bikes, said Dan Sperling, director of the Institute of Transportation Studies at the University of California, Davis. Such efforts could include lower-cost housing in urban centers to bring people closer to work, and the elimination of building codes requiring parking spots to encourage more drop-off carpooling, according to experts. Karperos said: "It is a tough problem."